From Smaug to the Clangers: a brief history of dragons | Film | The Guardian. via From Smaug to the Clangers: a brief history of dragons | Film | The Guardian. 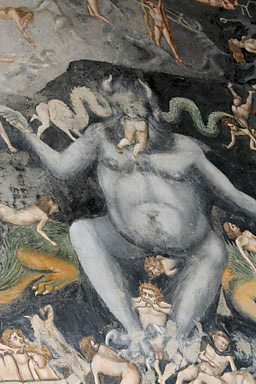 BBC Four’s fascinating documentary traces the evolution of The Devil through over a thousand years of Western art. Written and presented by art historian & critic Alastair Sooke, we are introduced to the Prince of Hell in his earliest pictorial incarnation, as a beautiful angelic bureaucrat, not at all evil but instead merely faithfully performing the function assigned to him by God. Over the following centuries, Lucifer is transfigured firstly into a grotesque, chimeric monstrosity, an “anti-God”, the font of all evil and suffering, then into a majestic, almost tragic figure with whom we are invited to empathise. A fascinating journey, it is driven along by an engaging and enthusiastic tour guide in the form of Sooke, and though a great deal of conjecture and imaginative assumption is necessary to divine the underlying links between the stages in Satan’s development, that is to a large degree inevitable when dealing with subjects such as this. The exploration of the intricate details of mosaics and frescos, some obscure, some famous, is loving and insightful. All in all a high-brow Halloween treat. Here is a brilliant article from Sunday’s Obsever (28th October 2012) exploring some of the most frightening paintings from the world of fine art, “from Bosch to Warhol”. And a fine selection it is, just in time for Halloween. The 10 best scary paintings.